Spoilers ahead for, y’know, Planescape: Torment. 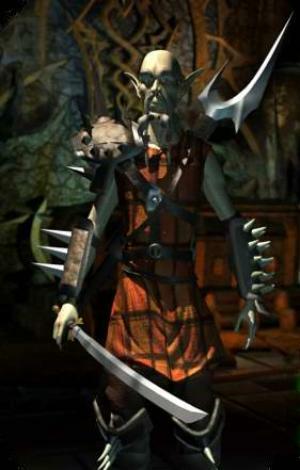 One of the questions that lingers from Planescape Torment is where the boundaries of your own identity begin and end. If you wake up, bereft of memory, but shaped by the actions of the person who forgot, are you the same person? Are they you, even as you are not they? And what responsibility do you, the new person, bear to the person who is gone? This question of memory is then raised further – at what point do we lose ourselves for things we do not remember doing? Are we, the person of now, responsible for the actions of a person who we do not remember ever being? How much damage does a mind endure for that responsibility? Dak’Kon is the one who puts these questions to you, because you ruined his life and you did it for entirely selfish reasons. Dak’kon’s story is one of heresy. His faith was not just important, but important to the community he was part of – without it, the entire culture that sustained their home would fail, and collapse. Heretical thoughts invaded his worldview, and that faith collapsed, and in the aftermath, the Nameless One, in the monstrous character known as the Practical Incarnation turned up to save his life, knowing that it would result in Dak’kon pledging service to the Nameless One until the latter died. It’s possible to know me and not know the details of my upbringing and life. I mean, most people assume that most people around them have ‘normal’ lives, so when you learn someone, for example, grew up overseas, it’s a bit of an ‘oh, that’s a surprise’ moment. When I tell people that I was raised in a fundamentalist cult and my father was a preacher stuck in doctrinal arguments, it’s so out-of-context for people that their only real reaction is to be confused. But one of the details in all of this is that I too suffered a collapse of faith; it was disastrous for my world; and in the end of it, there are people around me, people who lived through it with me, who have no idea what it was like, who don’t realise what happened and the long-term effects on my life. And mixed in amongst this is the knowledge that one of the people involved in this terrible experience died – and in dying, a lot of what I experienced and suffered was forgotten. How do you recognise that doubt can end the world? How do you grapple with realising you were hurt by someone who can never make it right? Who can’t even ask for forgiveness, because they don’t realise what they did was wrong? 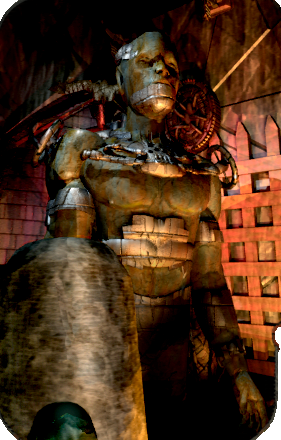 Coaxmetal is a towering metal golem that lives in the Siege Tower. He’s a weapon crafter and a weapon both, trapped but not in his space, with a philosophical outlook of pure obliteration. He does not feel trapped in his prison, because his prison will, eventually, crumble into dust, while he continues the important work of unmaking the world. 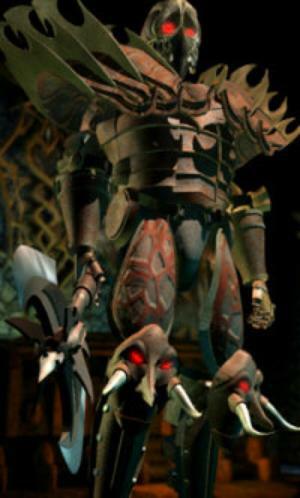 Coaxmetal is an accelerationist in the Doomguard vein – in the context of Planescape, he’s of the belief that the whole world is an act of resistence against a natural order, and its solution is to let entropy take everything, so something better can rise from what’s left. This, in the landscape of Planescape, is a belief as valid as any others. And Coaxmetal is quotable as hell. One of the interesting things about Coaxmetal, for all that he’s kind of omnicidal is that in the context of the universe, he’s not actually evil per se. He’s just an extreme form of Chaos – an acceptance of the absolute inevitable victory of entropy. 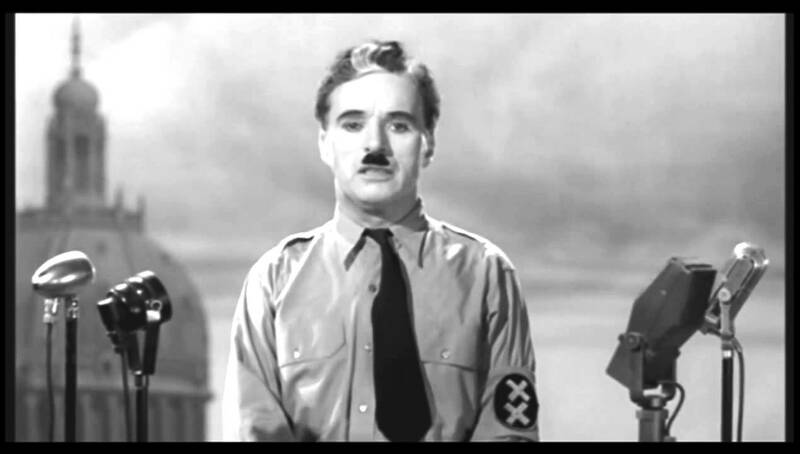 The message of Coaxmetal, of all things, interleaves to me with an idea that I’d always been hanging onto and only was crystallised by Charlie Chaplin in The Great Dictator. The line is: The hate of men will pass, and dictators die, and the power they took from the people will return to the people. And so long as men die, liberty will never perish. Death is always something I fear. Simply put, I don’t think I’ll ever be ‘death positive.’ I was raised too much with death as a constant, with the loss of people around me and a very clear moral arc to death. But Coaxmetal taught me, in a small way, that bad things could die too, and it was worth killing them. Vhailor is a suit of discarded armour that isn’t haunted. It’s important to know that Vhailor is not a ghost, as you might expect in a fantasy setting. Vhailor is a Vhailor, a unique entity, a Mercykiller so utterly obssessed with the pursuit of an entity that he learned to be eternal that, when he was left in a hole to die, he lived on out of pure, obssessive need for justice. I think Vhailor is one of the great romantic monsters. 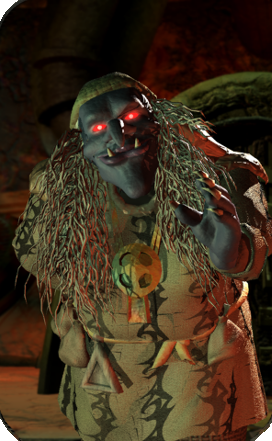 Without the boggling scope of time and space Planescape can hold, you can’t really adequately convey the sort of time abyss that Vhailor has straddled. Without ghosts and undead and ways to interact with them, you can’t deliberately highlight that whatever they are, Vhailor is not. And Vhailor is romantic, in the sense that everything about him and his place in the world is directly connected to human feelings. I have known anger and rage and pain and sadness, and of course, I don’t know how big or how vast those feelings are. Not really. I know to me, the idea of being ‘not angry’ is a bit weird. But those feelings are all I have to compare them to – emotions are complex and hard to convey, and to really explain them in media, you need to do a lot to establish a reliable narrator and an inner life that the audience can experience. Vhailor might not be half of what I feel he is, but there’s not a lot of room to take him in a lot of places. My biggest problem is trying to describe Vhailor in terms of a need for justice rather than anger at injustice, because the latter is much more how I feel and not how I think he feels. Vhailor’s story is made more complicated by the fact that his need for justice and your loss of identity are so intertwined the question can be legitimately posed as to if you are the person who committed this crime against him, if you can be punished to his totalitarian, excessive standards. Maybe you can’t. Vhailor does pose the question of whether or not you can ever change who you are, if forgiveness and justice are compatible ideas. There are so many phrases that spring to mind that have touched on this concept space. Hatred outlives the hateful, for one. Even death may die, for another. In the end, though, Vhailor is the one who speaks for Vhailor. Vhailor: When the injustice is great enough, Justice will lend me the strength needed to correct it. None may stand against it. It will shatter every barrier, sunder any shield, tear through any enchantment and lend its servant the power to pass sentence. Know this: there is nothing on all the Planes that can stay the hand of justice when it is brought against them. It may unmake armies. It may sunder the thrones of gods. Know that for ALL who betray Justice, I am their fate… and fate carries an Executioner’s Axe. Here’s perhaps a simpler little coda, and a lighter thing to end on that doesn’t talk about my own troubled mental space. Ravel Puzzlewell is the character who posits to the Nameless One, in the very beginning of the story – before the game starts – the question that drives the plot. Let’s not talk about about that particular question for now. Let’s look at what that question does. You ask this question all around the world; you ask it of many people. You answer it, too, and get a lot of different, conflicting, weird answers to it. But the most important thing is that the answers you get are themselves more reflections of the people you ask. And that’s really it. How people interpret questions and answer them is often much more interesting, and shows you more meaningfully who they are, than whether or not the answer is correct. Care less about correct answers. Care more about how you answer. As an ACE kid, this mental puzzle is one I still struggle with. The next step, and possibly the biggest spoiler in the game, is the ultimate answer to this question: Whatever you believe can change the nature of a man can change the nature of a man. Some people reject the idea of it, and they probably are right, for them. Some people believe travel and changing context can change the nature of a man. Some blame life and some blame death, but in the end, it’s all about the things you believe can change you. I had to learn. I had to realise that the stories we tell ourselves, the ones we care about, are important, because they’re how we choose to be who we choose to be. While Baldur’s Gate 2 is a sprawling leviathan of heavily modded interconnected canon to me, Planescape Torment is much tighter, much more coherent, and really more of a single, ugly but beautiful whole, full of big concepts and weird space, and uses the trappings of fantasy to tell a story that’s more dreamlike sci-fi, where the story’s fantasy space isn’t about creating a real world out of unreal parts, but is instead much more interested in making a world whose unreality is determined by the boundaries of it being a story. It’s a story whose very nature is metatextual – where what people think the story is about determine how the story is shaped. It is not one of your rollicking funfests, and its conclusion is by all accounts, a bummer, but it is still one of my favourite works because of what it tells me about me. It tells me that I am not so strange that in the infinite universe, my experiences are alone. And maybe, if you play it, you can get the edges of feeling like how I feel, sometimes. Planescape: Torment is available on GoG, and Steam.